The smartphone is packed with a lot of innovations in this segment such as the world’s first 32 MP pop-up selfie camera and AI enabled 48 Million Quad Pixel Sensor (12Million Effective Pixels) + 8MP + 5MP triple rear camera. To create a great and smooth experience, the device is powered with the new Qualcomm Snapdragon 675AIE octa-core processor supported by an enhanced CPU and GPU, which consumes less power while delivering flagship level performance. Taking inspiration from the last year’s NEX, V15 Pro carries the same Elevating Front Camera, but this time better. 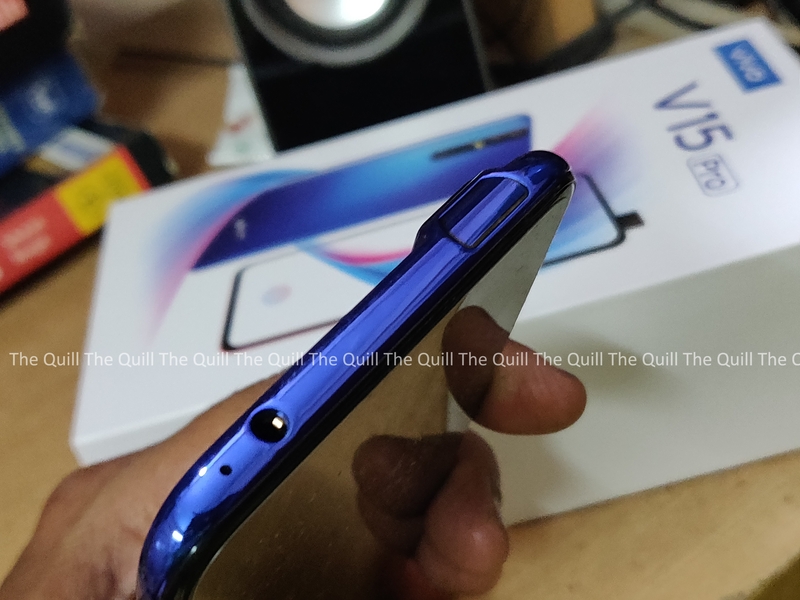 The Vivo V15 Pro incorporates an industry-first 32MP pop-up selfie camera, which delivers good clarity. 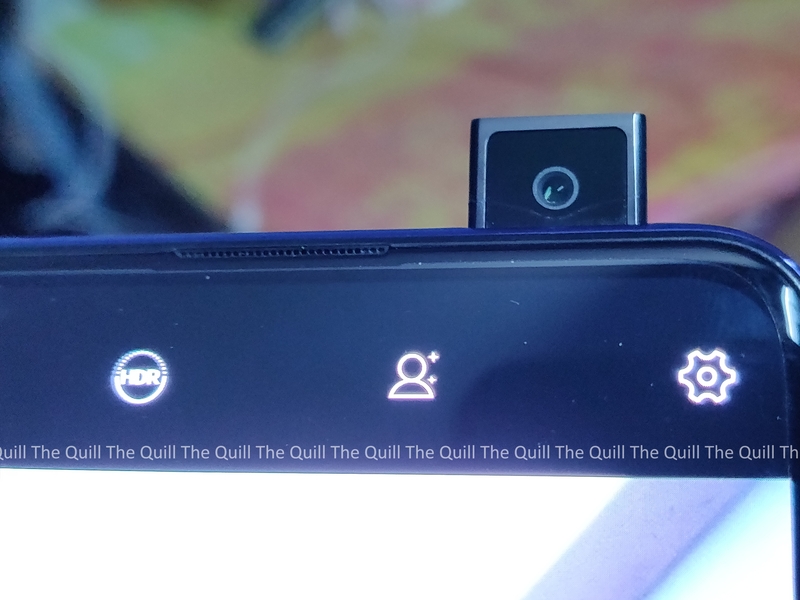 The unique pop-up front camera, housed within the phone body, smoothly emerges from the top of the smartphone and retracts once the selfie has been clicked. The design works like magic and ensures the camera system’s safety and reliability. The V15 Pro features an AI enabled 48 Million Quad Pixel Sensor (12 Million Effective Pixels) + 8MP + 5MP triple rear camera with 1/2.25-inch sensor and a large f/1.8 aperture along with a 32MP Pop-up front camera. 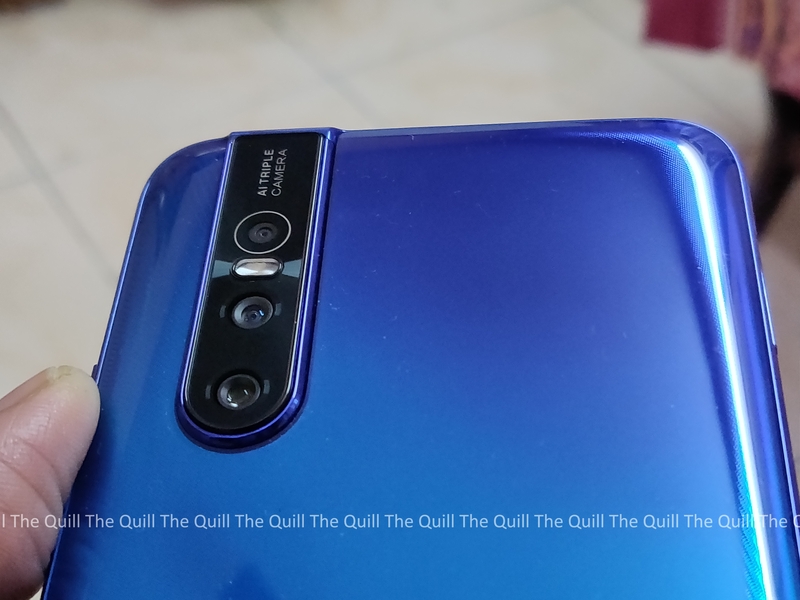 The smartphone uses quad-pixel technology, which combines 4 adjacent pixels into one ‘super pixel’ delivering high-quality 12MP photos, while ensuring clearer and sharper low light photography. The powerful combination of 8MP AI-enabled Super Wide-Angle camera, a 5MP Depth camera and an upgraded AI algorithm allows for a wider 108 degrees view that results in better picture composition. The powerful hardware is complemented with AI to make professional photo-taking a breeze. The all-new AI Super Night Mode makes shaky night shots a thing of the past, as consumers can now capture amazing night scenery without a tripod or a DSLR camera. The AI Super Night Mode can instantly take multiple photos at different exposure. It also brilliantly combines them to greatly improve brightness and clarity allowing night scenes to be captured with great detail. Besides creating great low-light shots, the V15 Pro camera is capable of optimizing each shot by detecting the photo conditions. It comes equipped with upgraded AI Body Shaping to AI Portrait Lighting features, for enhancing the photography experience. After identifying photo scenes, the AI suggests appropriate filters, and with time learns to produce better results. The V15 Pro creates a great and immersive visual experience by incorporating a 16.23cm (6.39) Super AMOLED Ultra FullView™ Display screen that comes with a 91.64% screen-to-body ratio – a first in the V series. The smartphone also incorporates Vivo’s industry-leading fifth-generation In-display fingerprint scanning technology, which comes armed with a higher fingerprint pixel density and more sophisticated algorithms, allowing faster, flawless and a more secure unlocking experience. The V15 Pro is the first smartphone to be packed with the latest Qualcomm Snapdragon 675AIE octa-core processor. 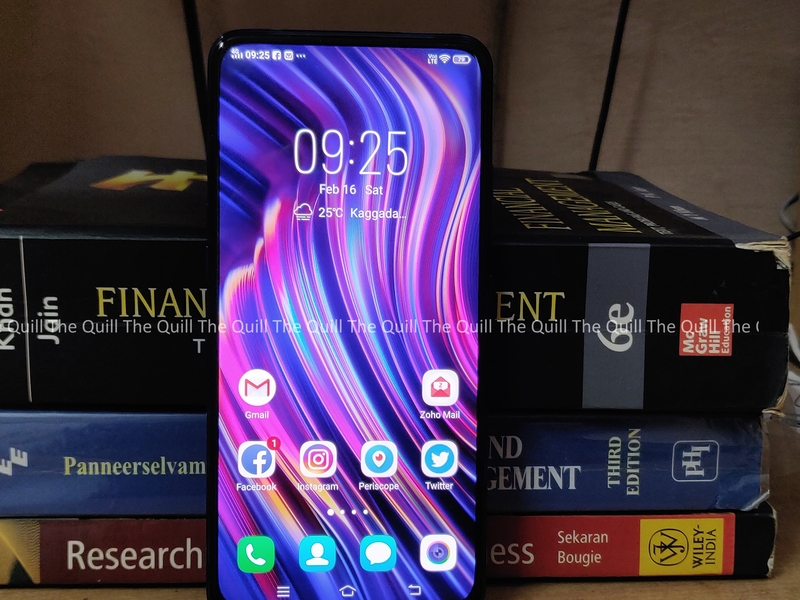 The smartphone further enriches user experience with 6GB RAM, 128GB storage and the latest Funtouch OS 9 Operating System, based on the Android 9.0. The amalgamation of powerful specifications ensures a seamless UI experience, outstanding gaming capabilities, stellar camera features and smoother multitasking. Despite being ultra-sleek and lightweight, the V15 Pro is a powerhouse packed with a massive 3700 mAh battery. 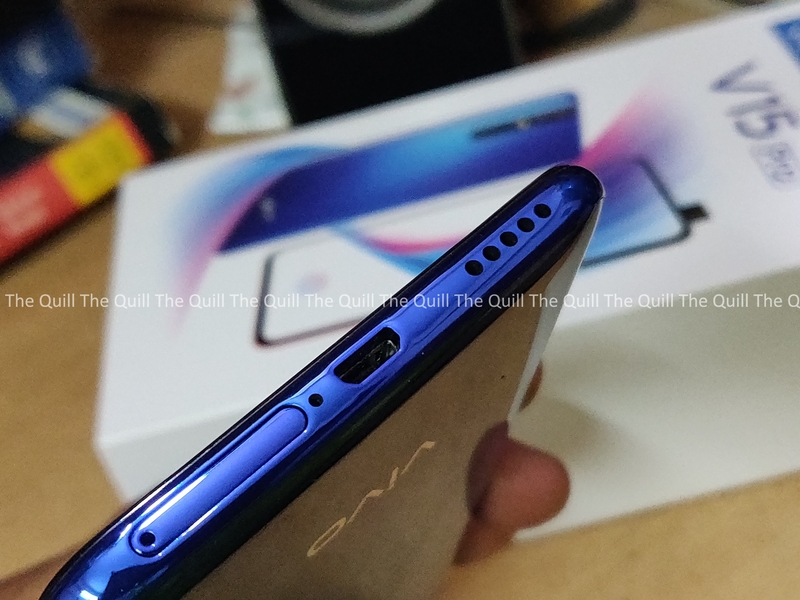 Additionally, Vivo’s exclusive Dual-Engine Fast charging ensures that the phone is charged up to 24% in just 15 minutes. As far as first impressions go, this phone that is priced very aggressively at Rs 28,990/- brings a whole load of innovation to the fore. The kind of innovation that the mid-range budget segment has not seen before. This is a welcome change and is definitely setting the trend for things to come in 2019. Will cover more details in the full review that is coming up soon. Stay tuned.